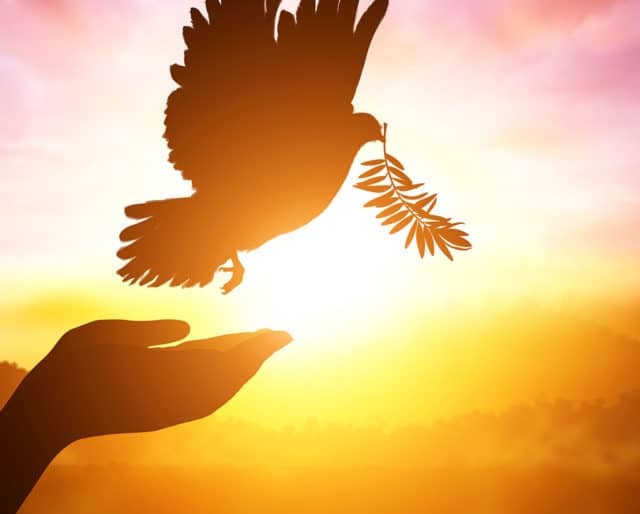 Created by the United Nations, the International Day of Peace (or World Peace Day) on Sept. 21 is devoted to strengthening the ideals of peace, both within and among all nations and peoples. At a time when war and violence often takes all the oxygen in our news cycles, this day is an inspiring reminder of what we can create together. In 1984, the NGO Pathways To Peace inaugurated the Minute of Silence at 12:00 Noon in each time zone, resulting in a “Peace Wave” around the world. Individuals, organizations, communities and nations are invited to participate in this shared and practical act of peace-building on September 21. Bring people together with a 'global' potluck, encouraging your friends and neighbors to share a unique dish from another country or culture. Interfaith and intercultural discussions can make the evening even richer. Whether it's at the office, or yoga class, or on-line, take 5 minutes to focus on world peace with others. We promise, everyone will walk away calm! Nations and communities around the world struggle with poverty and disease, education and healthcare. This day reminds us that, regardless of where we come from on, we likely have more in common than different. We can get caught up in the day-to-day of work and family. Thinking about the actions we need to take as individuals, communities and nations to make the world a better place helps broaden our perspective. A minute of silence. A vigil. Yoga. A poetry reading. Small acts today, done in community and dedicated to a more peaceful world will change the conversation.